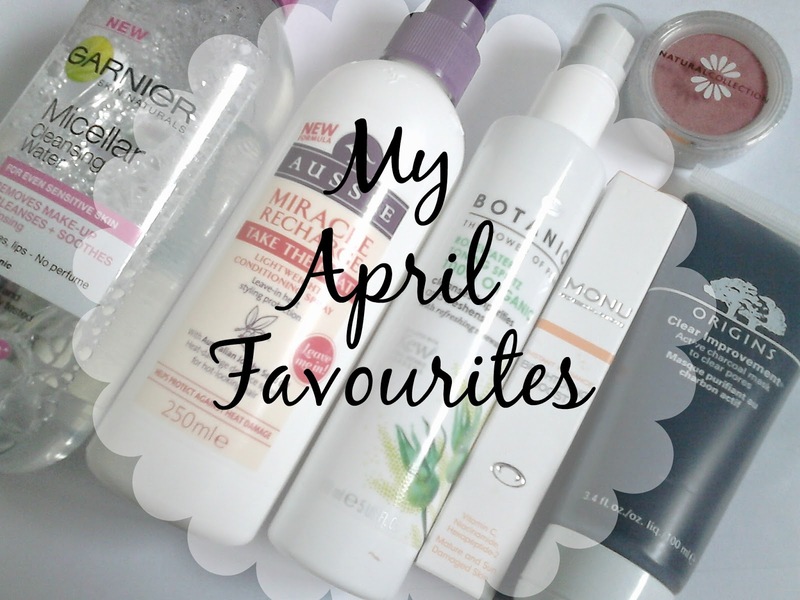 It's that time again, it's the end of April and time to share with you my favourite beauty products that I've been loving during the month of April. April was the month of Skincare, I've been trying out soo many different beauty products and it's been difficult trying to stick to my usual skincare routine but I've discovered some great products along the way that is definitely worth a repurchase in the future. Not all of the products in this months favourites are based around skincare, just the majority with a haircare and makeup product thrown into the mix. Unfortunately last month I wasn't extremely experimental with my makeup and haircare hence the low count of makeup and haircare products in this months favourites. Hopefully May will be the month I discover some new makeup and haircare products that I'll fall head over heels in love with. A few weeks ago I had a little spree on Boots online(see haul here) and seen this included in a 1/3 off skincare offer so I immediately added it to my basket. I've been tempted to jump on the micellar water bandwagon for months and I couldn't resist it for much longer. 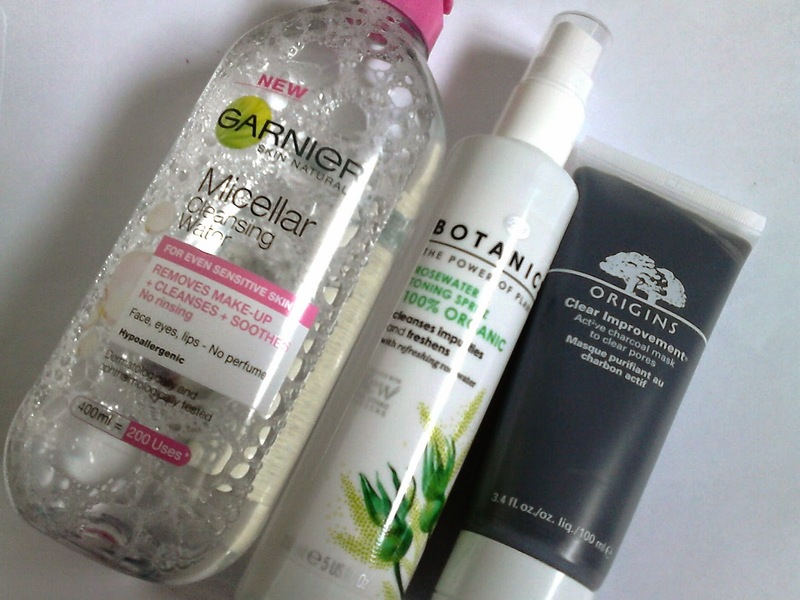 The Garnier Micellar Water takes my makeup off with ease. I pour a little bit of the product on a cotton pad to remove all of my makeup, including my eye makeup. I only use up 2 to 3 cotton pads to remove it all, it's that good. Not to mention it's extremely gentle on my skin. I am in love. This is another product I bought in my online Boots haul during the 1/3 off skincare offer and I have used it non-stop since purchasing, I can't rave about it enough. I spritz this onto my face after a double cleanse, it closes the pores and smells absolutely beautiful. I also sometimes spritz this onto my face during the day for an instant refresh. This is definitely one of my favourite skincare discoveries in April I have to admit. I have been getting really into face masks recently, I have purchased so many but this has to be my number one favourite of them all. It works incredibly well for my acne prone/oily skin type. It dries within seconds and makes my face feel soft, fresh and clean. If you'd like to learn more about this product you can take a look through my review here. You should know my obsession with Aussie haircare products by now, I haven't been anywhere near another haircare brand since I discovered Aussie. 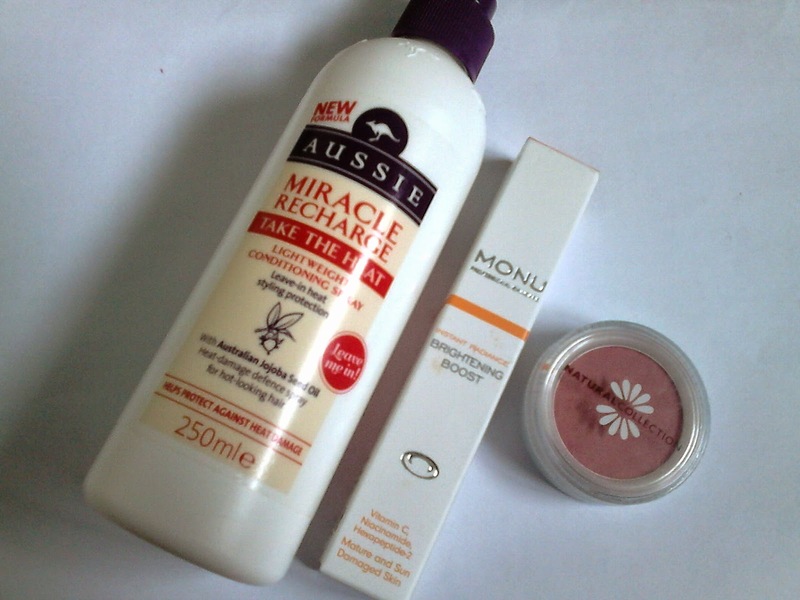 I ran out of my usual heat protector but it was nowhere to be seen so I opted for this, the Aussie Miracle Recharge Take the Heat spray. It works a treat on my hair, it detangles, conditions and protects my hair from heat. What more do you want? To know more about this product why not take a look at my full review here. This is the perfect product to use if you want to give your skin that extra boost this spring/summer. I apply this before my moisturiser and sometimes before makeup application and it makes my face appear dewy and glowy. It makes a great difference to my skin, I love it. I haven't tried a Natural Collection blush in soo long so I was pretty surprised that I ended up liking this. I was afraid that it would make my blemishes and redness stand out more but this wasn't the case. It's the most delightful pink shade that gives my face an almost stunning, healthy complexion. I am lovinggg it. What products have you been loving in April?